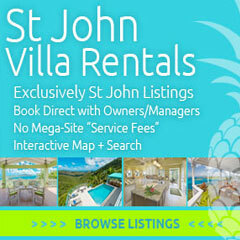 Discussions about the best British Virgin Islands beach bars normally begin and end with those located on Jost Van Dyke. 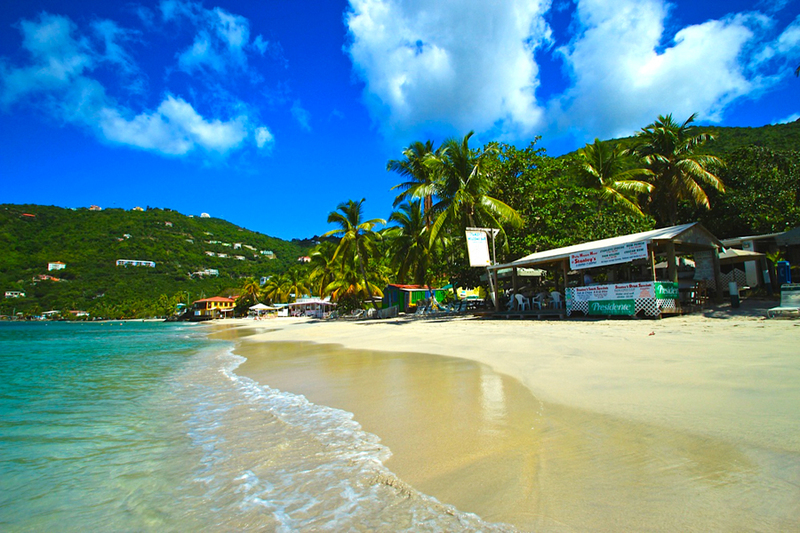 Cane Garden Bay, a gently sweeping crescent of powder white sand on the northwest coast of Tortola, makes a strong statement as a beach bar utopia and with its west facing beach that includes the aforementioned Jost Van Dyke on the horizon, it’s hard to argue with this stance. Home to such beach bar stalwarts as Quito’s Gazebo, Big Banana Paradise Club, Rhymers Beach Bar, Tony’s Welcome Bar, ELM Beach Bar and Myett’s Garden and Grill, Cane Garden Bay should be on every beach bar bums wish list. Image of Cane Garden Bay provided by Noelle Campbell. Cane Garden Bay’s beach bars are numerous but I think I’ve covered most, if not all of them, in the following list. If you’ve been to Cane Garden Bay and have visited any of these beach bars and/or hotels, let me know in the comments. I would love to hear what you thought of them! Bareboats BVI describes Quito’s as “a BVI landmark and very likely, the most popular nightclub in the territory” and goes on to say about the proprietor: “Quito is a genuinely warm and friendly fellow who always makes time to stop by and say hello to guests … and make you “Feel All Right”!” Quito’s sounds all right to me! Not a lot of info on this location (formerly the Big Banana Paradise Club – Trip Advisor has a handful of reviews) but you can check out their frequently updated Facebook page for the latest info. This beach bar is located at Rhymers Beach Hotel and there isn’t a lot of information on the beach bar itself. You can view what visitors on Trip Advisor have to say about it here. A hotel with an awesome beach bar? I know where I’m staying. Rum Therapy says that Tony’s “was the busiest bar on the beach while we were there and looked like a great place to chill and enjoy a beverage or two.” There might be a sign calling “Tony’s” beach bar “Stanley’s” but don’t be confused. You’re in the right spot. 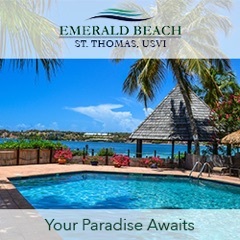 Like Rhymers, ELM Beach Bar is located at a hotel, also, ELM Beach Suites. One Trip Advisor reviewer states that the hotel “immerses you in the local culture.” When you’re on Tortola, that’s a good thing. And just in case you needed more enticing, here’s one hour of life on Cane Garden Bay condensed to 80 seconds. We’ll make sure and update the article. Thanks, Ralph! Don’t forget the Wedding Bar!